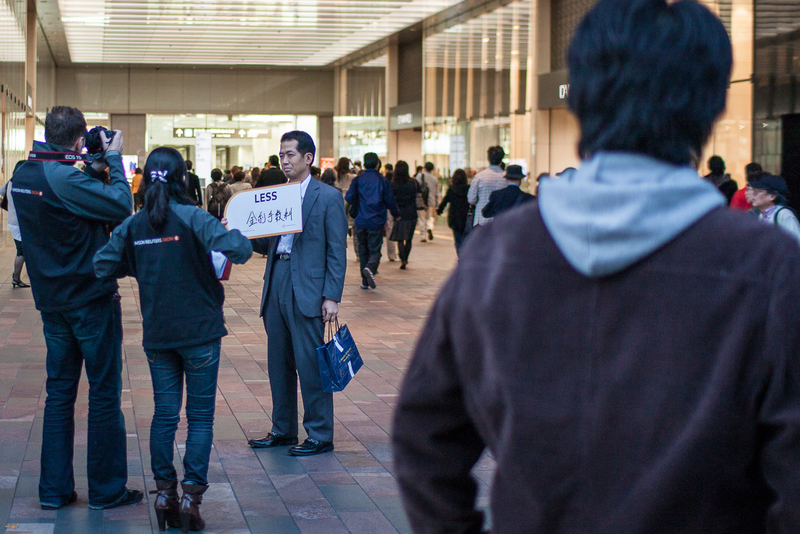 Out to today to take some shots of our Thomson Reuters street team in action at Tokyo station. We’re promoting the new Eikon financial product with chances to win a seat on the eco-friendly new vehicle that will vie for the land speed record in reaching the South Pole in December. And one iPad.